Instant G-code preview in your standard file browser! ThumbnailCNC is a service that is installed on a computer running Microsoft Windows Vista or newer operating system. 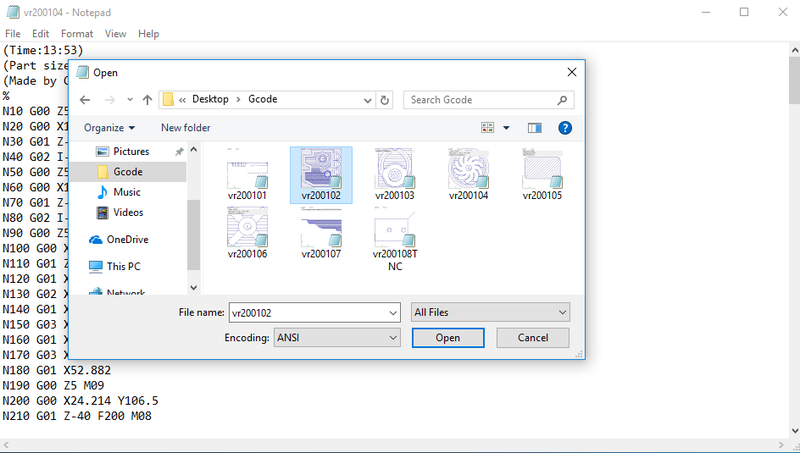 After installation, all the CNC programs (G-code files) on your computer will be represented by a thumbnail (small picture) when browsing directories with Windows Explorer (Just as you see thumbnails of your pictures and videos stored on your computer). The service also includes a view for the Windows File Explorer preview feature. 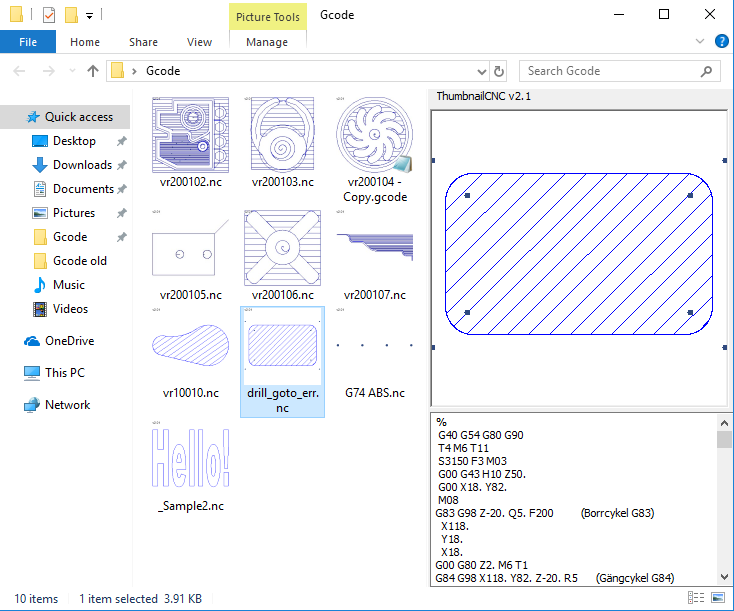 This view shows both the actual CNC program (G-code) as text and an image representation of the program's tool paths. Different versions of Windows have the setting to display Preview in different locations. In Windows 10, click view tab in the File Explorer, then Preview pane. Visualization of files will not only be available in Windows File Explorer. It can be used in any application that uses standard dialogs to open and save files, as most windows programs do. The implementation of the service in external software is performed automatically by Windows no additional configuration is required. If the open file dialog in your favorite program for editing G-code or DNC system is similar to the one in Windows Notepad. Then there is a great chance that G-code visualization will be available in the program's file selector. ThumbnailCNC works for most controls. It has been tested with G code files from Fanuc, Haas, Heidenhain and Siemens. For more information visit ThumbnailCNC's own website.